We are always on the lookout for great muffin recipes. These Cinnamon Coffee Cake Muffins are hard to beat. The recipe is from Southern Living and as I was reading the mixed reviews online, I noticed that many people were complaining about two things. First, many people said the muffins caved in in the center. Secondly, there were people who complained that the topping fell off. One person suggested that the people whose muffins fell in the middle might be guilty of over mixing and that if they mixed the dry ingredients in by hand rather than with a mixer, the problem might be resolved. Okey dokey! I took the advice and did just that. What were the results? As you can tell from the photo, my muffin does not have a muffin dome. They fell slightly in the center. As far as the topping was concerned, it does have a tendency to fall off as you eat it. The original recipe called for pecans in the topping, which I left off because my family doesn't want nuts to crop up in their muffins for some reason. Without the pecans, the muffins were probably a little less messy than they would have been. Other than those two things, these muffins are pretty much perfect. They are light, tender and delicious. I don't know what you can do to help them rise in the center, but trust me, you really won't mind that they can't win a muffin beauty contest. This recipe is a keeper. If you have any suggestions for how to get these muffins to rise more in the center, please let me know. 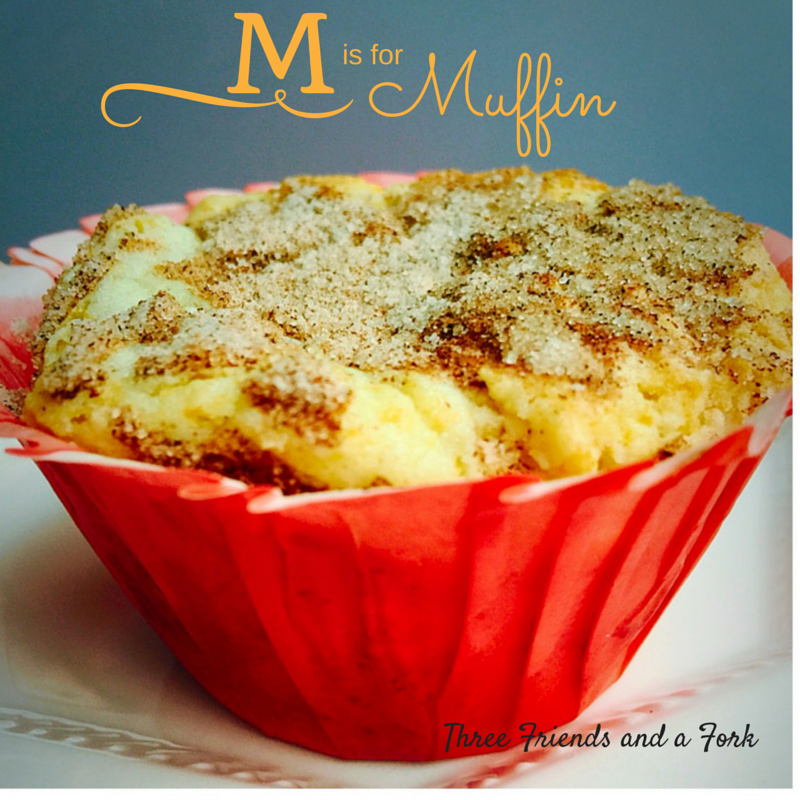 Get Printable recipe for Cinnamon Coffee Cake Muffins HERE. Wow, I want one of those coffee cake muffins immediately.